You Can Run a Marathon! 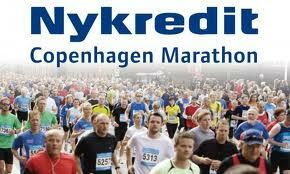 : Free Entry to Copenhagen Marathon! This is just so cool!! Unfortunately, because I'm having a mole removed from under my nose on Thursday, I can't exercise for at least 2 weeks. This, of course, means that I CAN'T RUN!! The marathon is this Sunday! No problem! The people at Sparta (Copenhagen Marathon organisers) said that I can transfer it to next year!! Strange that they give marathons entry away one week before the big show. Do they think people can accept it with just one week before? or is it only to people that have paid the entry fee anyway and get it back? This is a marathon I have in my wish list. I entered a facebook competition with the marathon sponsor but didn't expect to win. You're right that it's strange to find out you win 6 days before! Normally I would just run it anyway but as I can't exercise for 2 weeks it was nice of them to say they'd transfer it. Why is Copenhagen marathon on your wish list? (one exception is the area called Nørrebro where it's like running through a party)! Come and run it next year with me! That is awesome! They should make you an 'ambassador' for that marathon. Esp to get more women out there running. There are lots more women that run US marathons than Euro from what I've seen...you need to help fix that ! In the US there are often more women at half marathons than men..! I am with Paul! They should make you "ambassador" for that race!! Paul it's even worse in Spain! When I ran Valencia marathon there were hardly any women at all and I'm assuming Gran Canaria will be the same. My original plan was to run 2 maybe 3 marathons a year but between this September and next August I've already got 6 marathons and 7 if I get a London place.